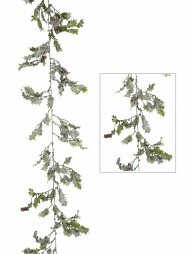 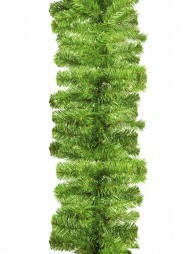 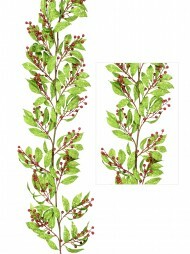 Our garlands range includes traditional pine-style garlands, in various styles, lengths and colours. 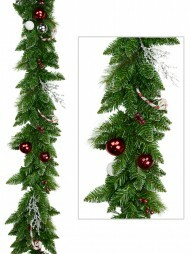 You might choose something quite plain or embedded with pine cones for a natural look. 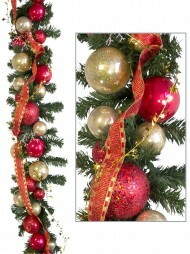 We have garlands decorated in coloured or metallic baubles (red and gold are perpetual favourites) if you're looking for colourful and attention-grabbing. 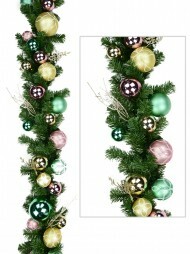 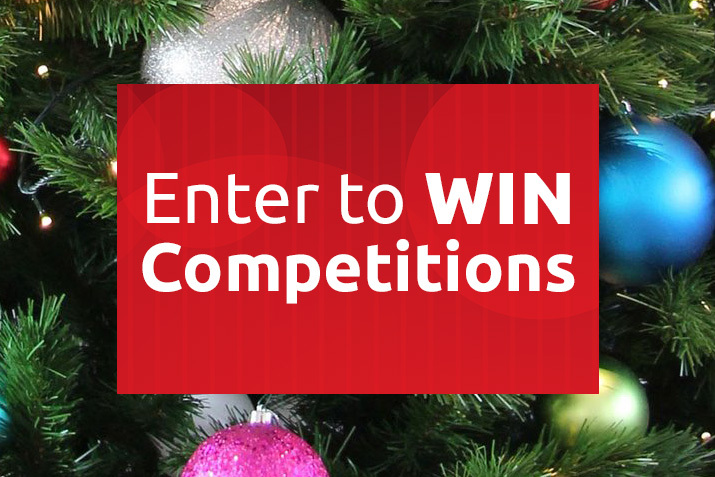 Or you might consider a garland beautifully decorated in bows, ribbons or stunning velvet poinsettia flowers. 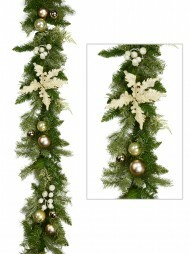 If you're looking to create the look of a traditional winter wonderland, we have garlands in silver and/or flecked with snow to help you create that northern hemisphere feeling. 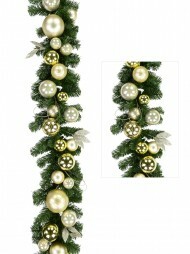 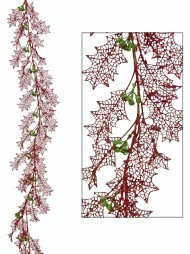 Elegant or edgy, traditional or vivacious, our garlands can add to any festive display. 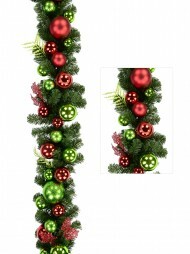 Garlands are an effective way to draw attention to any Christmas display, however big or small. 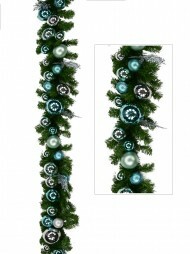 Whether you're looking to decorate the office, transform your retail store, or create some magic at home, our huge range of garlands and other Christmas decorations will be sure to help you achieve your ideal look, whether you're a traditionalist, a minimalist, or one who likes to experiment with a new colour theme every year.